Nice score! Little KW Author, looks like there's a couple Butz Choquin, and two, maybe three, Charatan(seconds? ), among the rest of that haul. 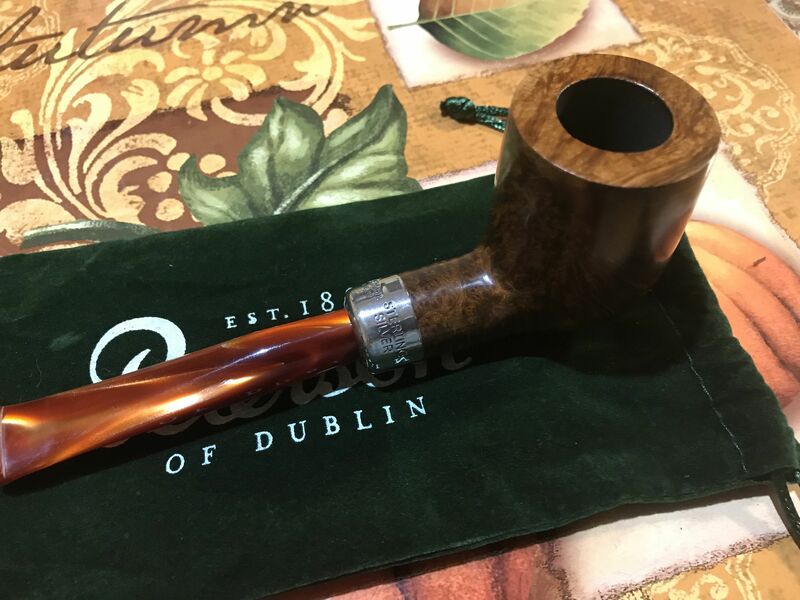 Is that Calabash cap meer or ceramic? What a superb collection of different styles. 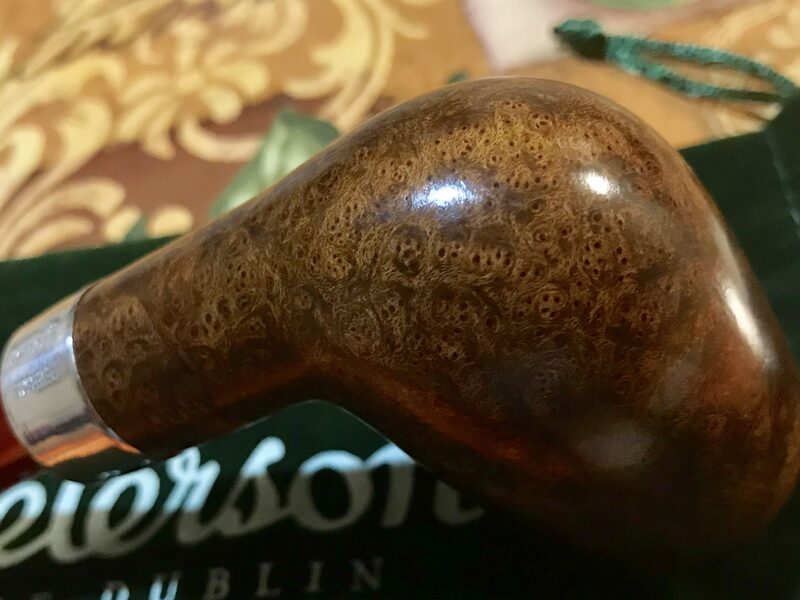 That meerschaum churchwarden is a real score just on it's own. They look like they had a careful owner. From the pics it doesn't look like they've been chewed ..... er, I mean 'clenched'. Btw; many seem reluctant to post their winning bid. Don't mean to be disrespectful but is it just in case the wife is looking over ones shoulder? Price just isn't something we talk about. 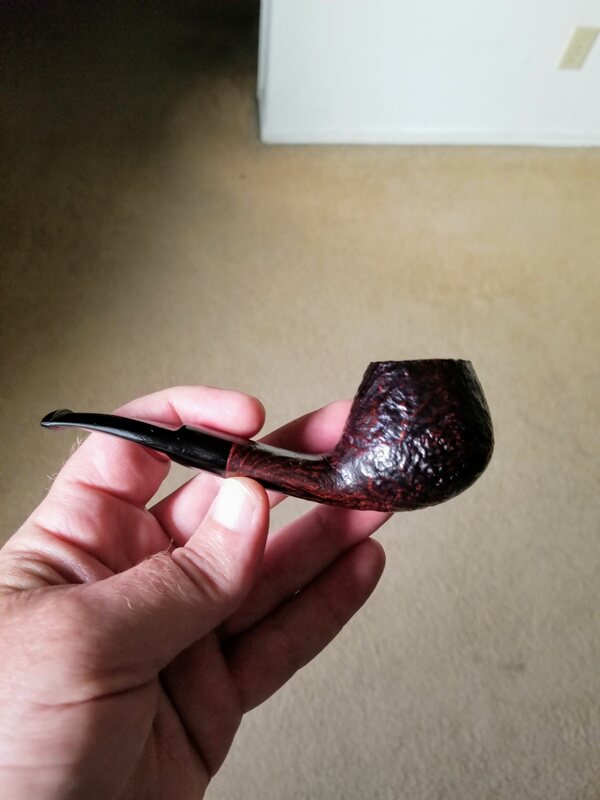 As an example let's say someone walks into a thrift store and stumbles across a '50s era Dunhill for $30. 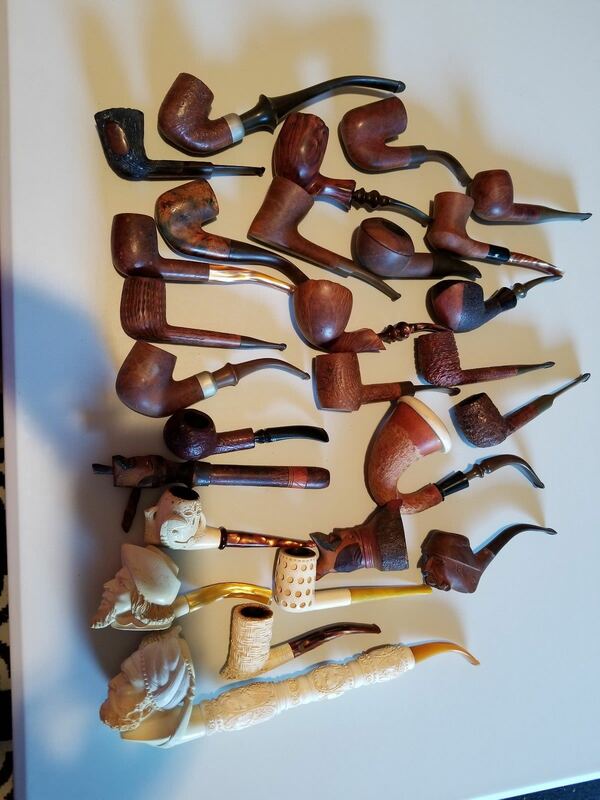 After cleaning it up and smoking it once they decide they don't like the pipe and want to sell it but for actual value, not the $30 they paid. It avoids snarky comments about the profit margin that could be involved and any hurt feelings. 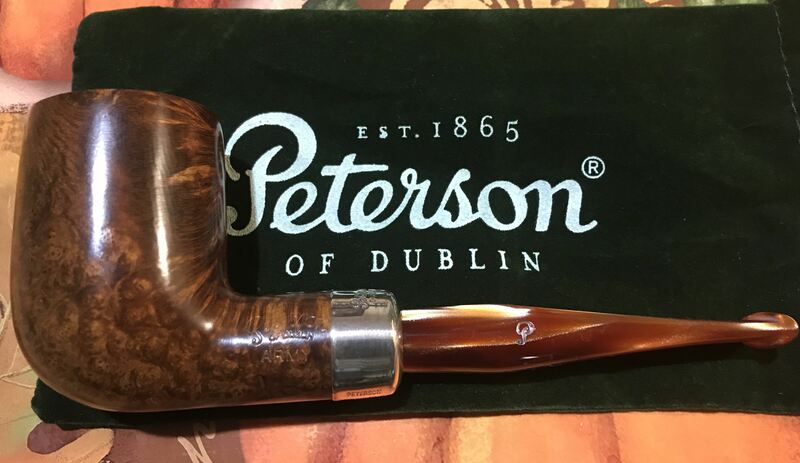 It was time for another Big Ol Billiard. Just arrived, probably wait until Sunday to break her in. 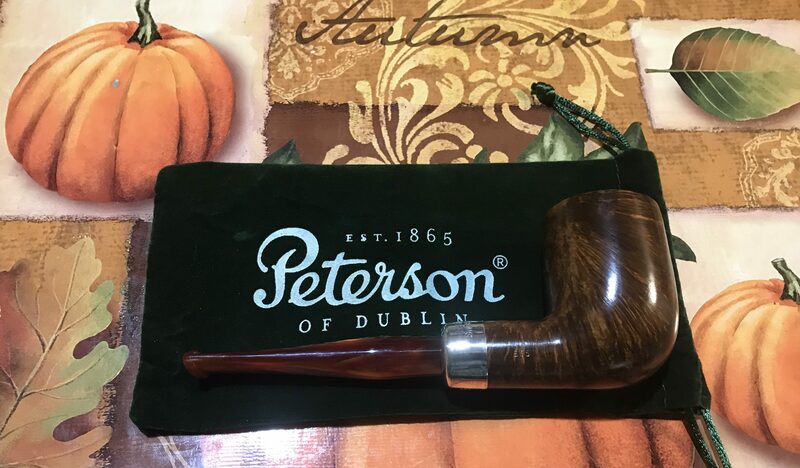 Peterson Orange Army shape B65. Very light weight for its size, nice silver band, no fills. You did very well on this lot.